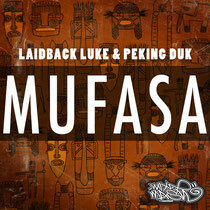 Australian DJ and production duo Peking Duk have joined forces with Laidback Luke to release an end of year tune in the form of the electro house track ‘Mufasa’, which has just been released on Mixmash. Capsulating the essence of Laidback Luke’s Dutch house sound whilst throwing in Peking Duk’s flavour into the mix, the track is full of big bass, bouncing synths and dirty drops. Proving to be a good combination, the trio create a vibe that laces tribal inspired chants alongside a hypnotic marching beat. Named No.5 DJ by In The Mix during their awards earlier this year Adam Hyde and Reuben Styles-Richards – aka Peking Duk – have been behind a stream of productions. Pushing themselves into the spotlight with their take on Passion Pit’s ‘Take A Walk’, the pair unleashed the tracks ‘The Way You Are’ and ‘Feels Like’ which both held the No.1 spot on the ARIA Club Charts for six and eight weeks respectively. ‘You Are Like Nobody Else’ and ‘I Love To Rap’ also both had similar success in the ARIA charts. Taking time out from the studio, the duo have been playing to crowds at Parklife, Foreshore and Stereosonic, as well as support for The Bloody Beetroots and Example. It’s out now, check it below.